Do you ever have a feeling that something is just a little bit off? Like you see something that you swear you’ve always seen one way and then one day it’s just different. Well, you’re not alone. What you’re probably experiencing is a Mandela Effect. The Mandela Effect is a theory in which many people claim to experience the same false memory of something that didn’t happen or was always a different way. For many people, little things have changed like dates of events of letters in names. Weird right? 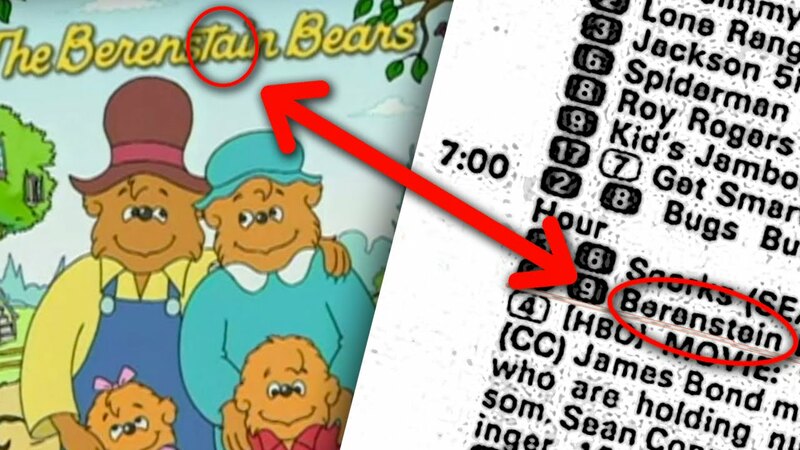 The most common Mandela Effect that really made people question a lot is that of the Berenstain Bears. When people think of the childhood classic, many people remember it being spelled Berenstein Bears, but now its Berenstain Bears. Personally, this Mandela Effect is the first of many that made me question a lot of things. Another big one that people cite is one in Star Wars. Do you remember the iconic line Luke, I am your father? Well if that’s how you remember it then you’ve been mistaken. The actual line has always been No, I am your father. Are you a fan of that classic movie Forrest Gump? What’s the line again? Life is like a box of chocolate right? No, the actual line has always been Life was like a box of chocolate. Am I freaking you out yet? The list of Mandela Effects is endless. There are new ones popping up all the time. All I can tell you is that its good to question everything. Just keep that in mind. This entry was posted in Entertainment and tagged berenstain, berenstain bears, berenstein, forrest gump, luke skywalker, mandela effect, me, nelson mandela, Star Wars by Elvin Sisco. Bookmark the permalink.